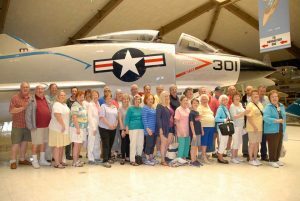 2016 Annual Reunion was “Outstanding”! 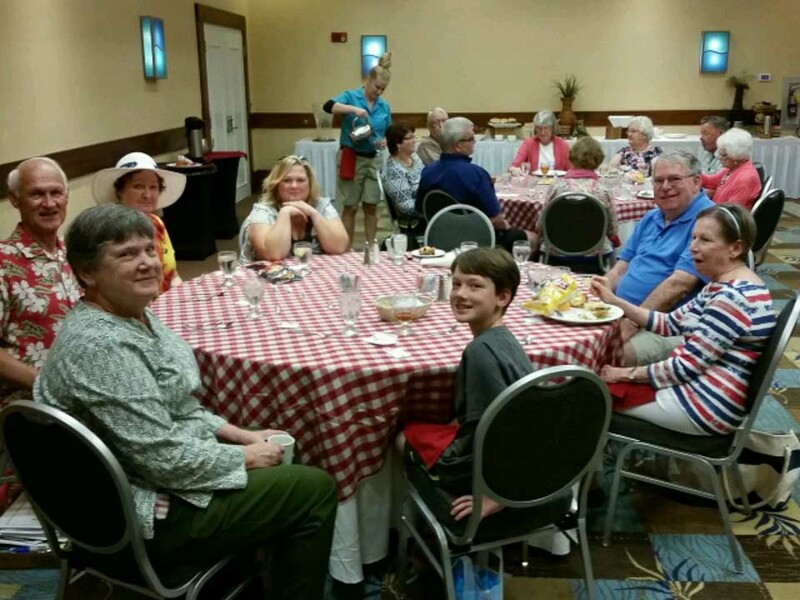 All that attended exclaimed the 33rd Annual Reunion as “outstanding”. 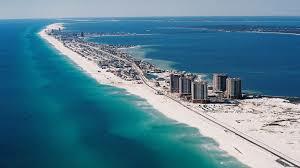 Plenty of socializing, sightseeing, and dining occurred over the three days in Pensacola Beach, Florida, world-famous for its sugar-white sand beaches and emerald-green waters. Hosted by J.D. 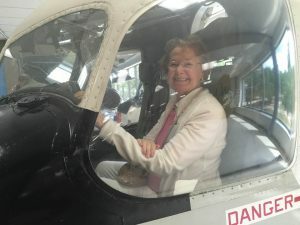 and Sandra Gaither, with the help of their adult children, Rebecca Yates and Frank Gaither, this year’s event attracted an impressive 36 attendees with one-third attending their first reunion ever. This included the two youngest attendees, Dylan and Logan Rothe, 10 and 8 years old, respectively. Also, you can see the record-breaking number of photographs taken throughout the event by clicking here. 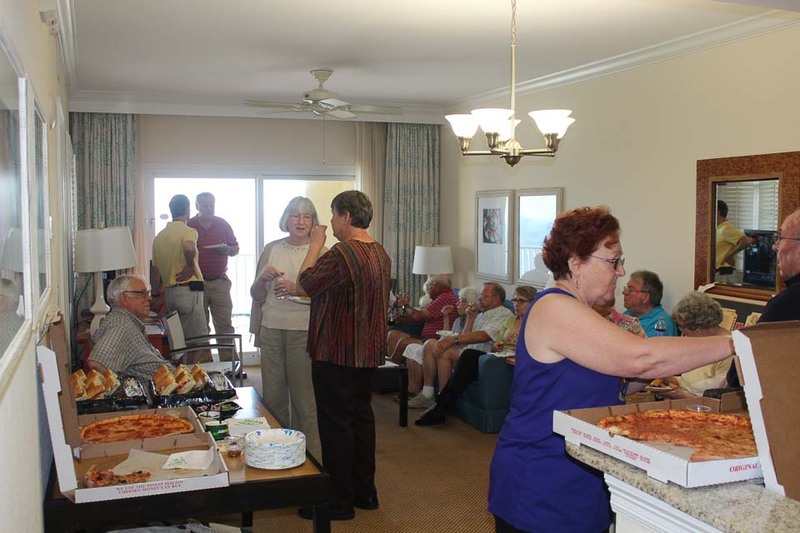 A pizza party kicked off the Reunion Thursday night in the Reunion’s Hospitality Suite, overlooking the Gulf of Mexico from the ninth floor of the Hilton Pensacola Beach. 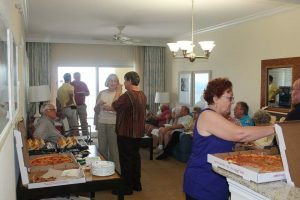 The sound of Gaithers becoming acquainted with newly found cousins and catching up with long-known ones filled the rooms. The party lasted until late into the evening. 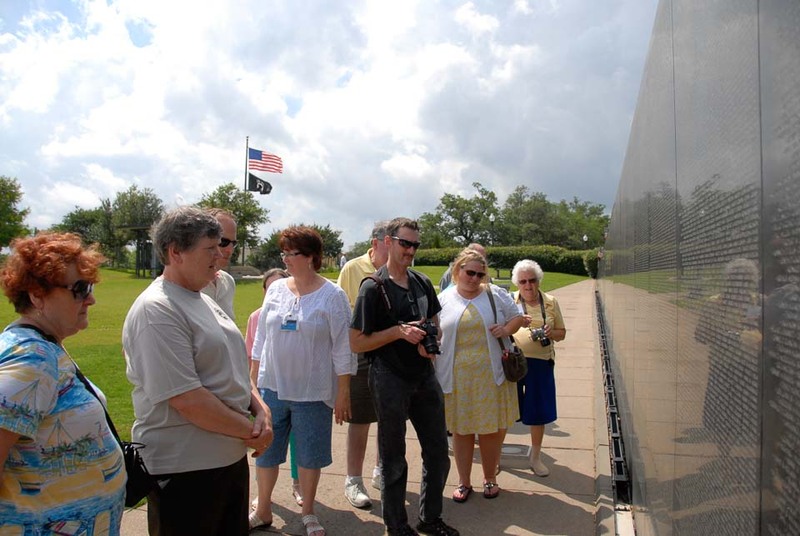 The next day, rain and wind battered Pensacola Beach for most of the day, but that did not deter many of the Gaithers from exploring the areas many sites, restaurants, and history. 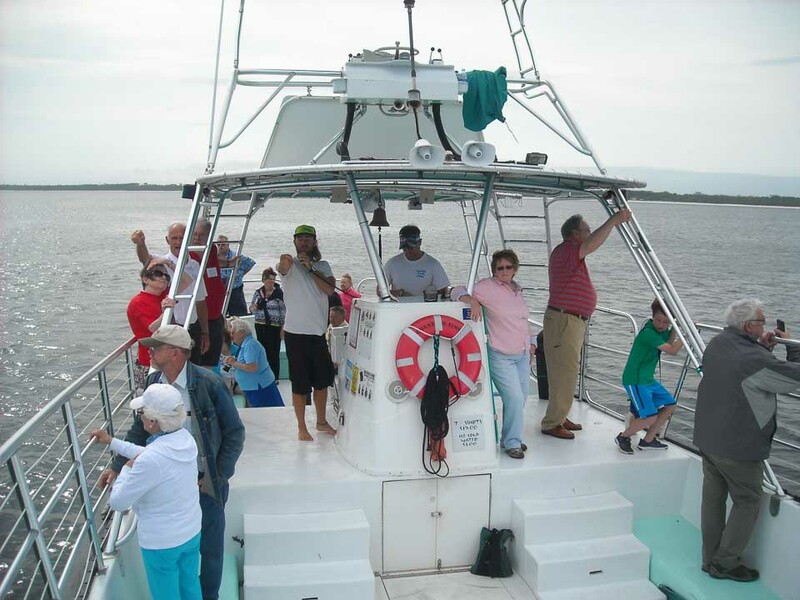 By mid-afternoon, the skies had cleared, and the clan took to the water and cruised Pensacola Bay. 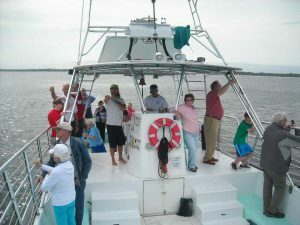 Highlights of the expedition included many dolphin sightings, seeing historic Fort Pickens and the Pensacola Lighthouse. After the cruise, Gaithers found many of the area’s best restaurants to quench their thirst and satisfy their appetites, including McGuire’s Irish Pub, famous for “Feasting, Imbibery, & Debauchery” and over one million dollar bills hanging from its ceilings. Mid-morning, Gaithers filled the old-time trolley to head to the world’s largest naval aviation museum and the #1 attraction in Pensacola, the National Naval Aviation Museum. 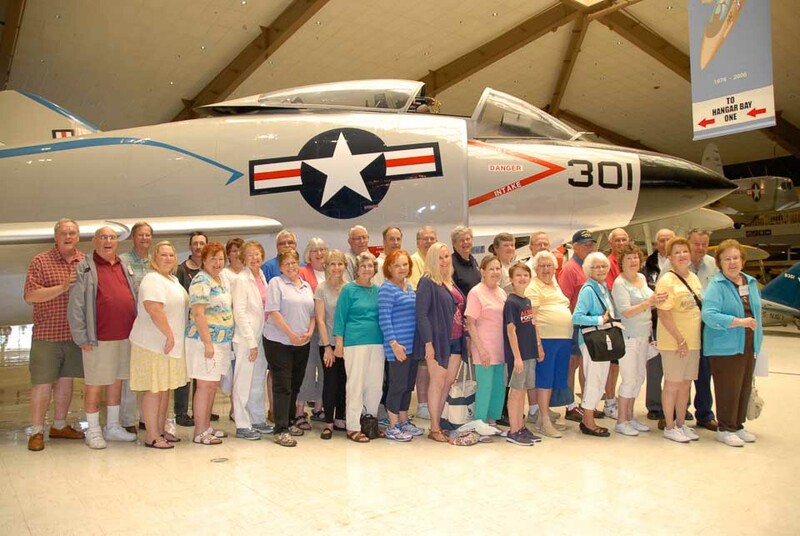 The group headed out in many directions to explore the more than 150 beautifully restored aircraft, flight simulators, and other historic items, including the personal items of Lieutenant Ralph Gaither, who spent seven years in captivity in North Viet Nam. The group lunched in the Cubi Bar, a replica of the famous Cubi Point Officers’ Club that was a major source of enjoyment for the Navy and Marine Corps officers as they passed into the Western Pacific. 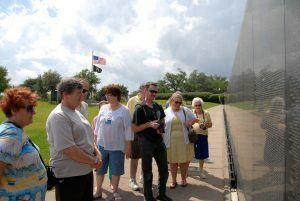 Everyone was fortunate that several of the group, including Bob Godfrey, Tom Gaither, and J.D. 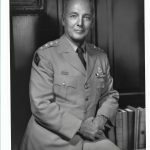 Gaither, had served in the Navy or Marine Corp and were superb interpreters of the museum’s pieces, as well as a guided tour by one of the museum’s volunteers. Saturday night was once again a chance to enjoy everyone’s company at the family dinner, served in a private dining room at the Hilton. This year's dinner was the second time the Society bestowed the annual John Gaither Distinguished Service Award to honor a member for outstanding leadership, support for Gaither family history, and dedication to serving the Society. 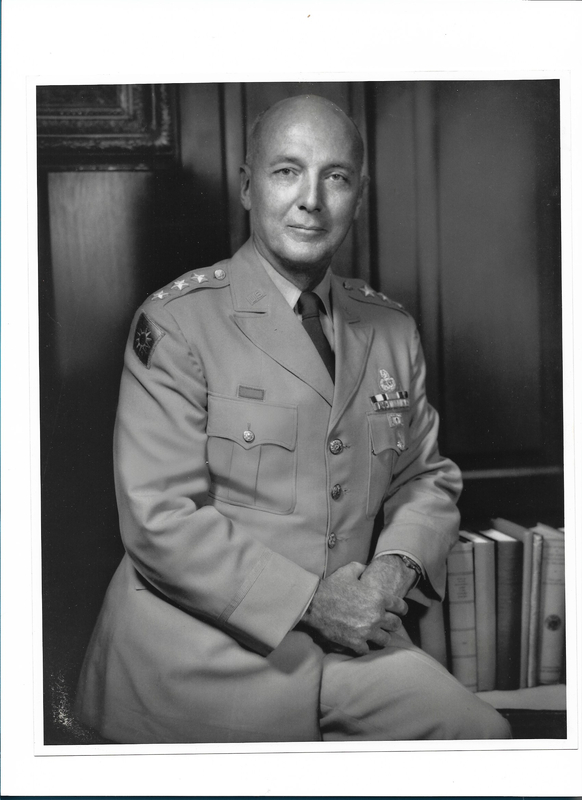 This year’s Award was given to Lieutenant General Ridgely Gaither, the Society’s first President. More about the award and General Gaither will be in an upcoming blog post. 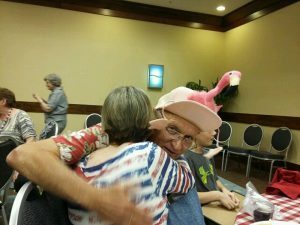 The Annual Membership Meeting, followed by a Farewell Lunch and the long-standing tradition of a small Gift Exchange, was held Sundary morning. More about the results of the Annual Meeting will be in an upcoming blog post. One can’t imagine a more productive or fun Reunion and we owe it all to the creativity, dedication, and hard work of J.D. Gaither and his family. Many thanks, J.D. and crew! This entry was posted in Annual Meeting, News by Mack Gaither. Bookmark the permalink.